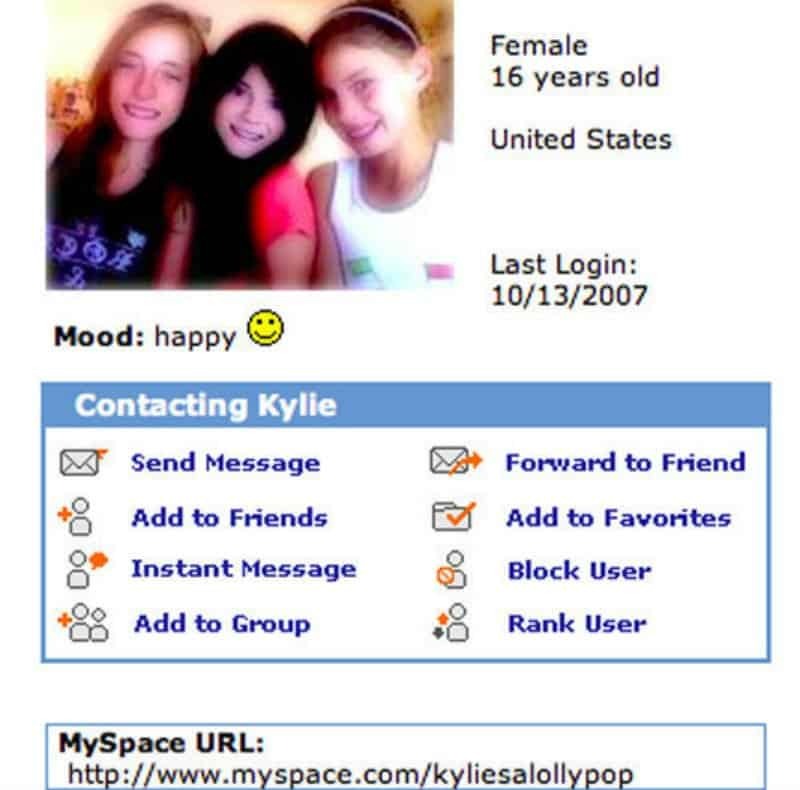 Remember MySpace? No? This was a website that was the kind of the social media landscape before Facebook kicked it off the thrown and made it little more than the court jester. Perhaps the most surprising thing about this turn of events was just how quickly Myspace went from being the social media website to being a website that people fondly remember as though it went defunct 40 years ago. 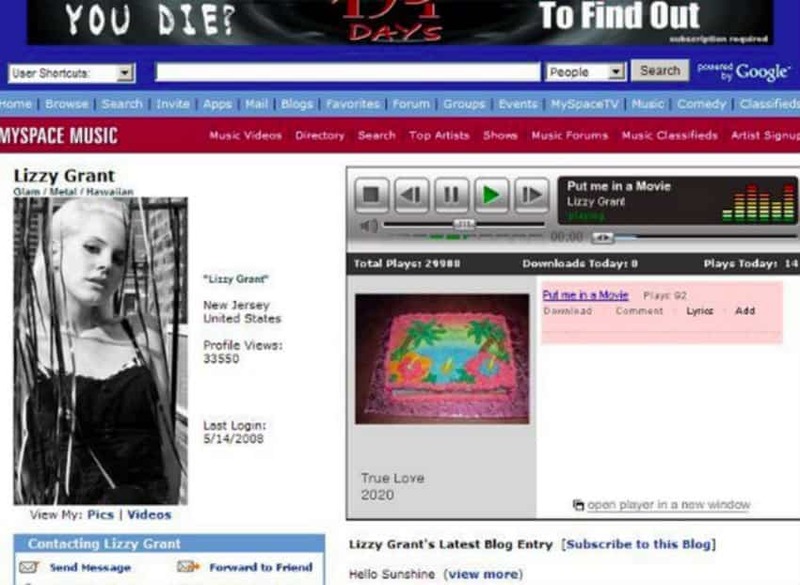 When you check out our list of 10 famous people who had really embarrassing Myspace profiles, you’ll realize that the site didn’t truly fail until just a few years ago. We were pretty shocked to see the people who actually had the profile. While Kendall Jenner liked to think of herself as a horsegirl, Kylie was apparently more enamored with being a piece of candy. Her profile URL claims she’s a lollypop. While her profile looks an awful lot like something you might find on file at the DMV, Kim was very much enamored with being a princess. She called herself Princess Kimberly, her quote was “I’m a PRINCESS and you’re not, so there!” and her URL was kimsaprincess. Considering that Katy Perry started out as a Christian Rock musician, the fact that she believed it was hard out there for a pimp is all the better. 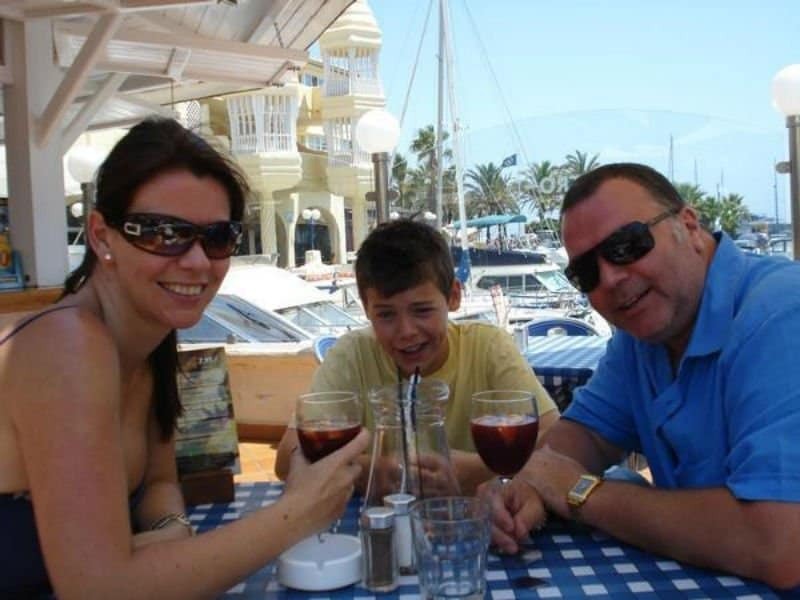 If you want proof that MySpace was a while ago, check out the fact that Harry Styles was nine years old when he set up his MySpace page. Back then, the person he most wanted to meet was the man of steel. We wonder if he’d settle for Henry Cavill. Back when the artist was starting out, she apparently had to perform at various malls. One poster made a comment on her wall that said “rihanna i love you so much i live in hoboken nj and i really want to see u in the mall on the 25th and i wanted to kno wut time u gonna be there pllzzzz get back to me” We’ll never know if Rihanna did get back to that fan. 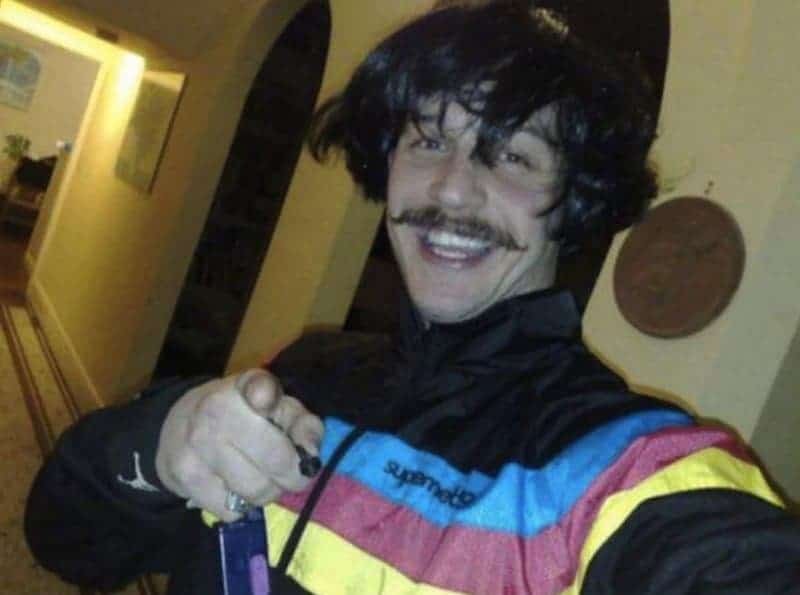 This profile picture was one of the only ones on Tom Hardy’s MySpace page where he’s wearing clothing. The man enjoyed posing in his undies and when he was wearing clothes, he was wearing them like this. 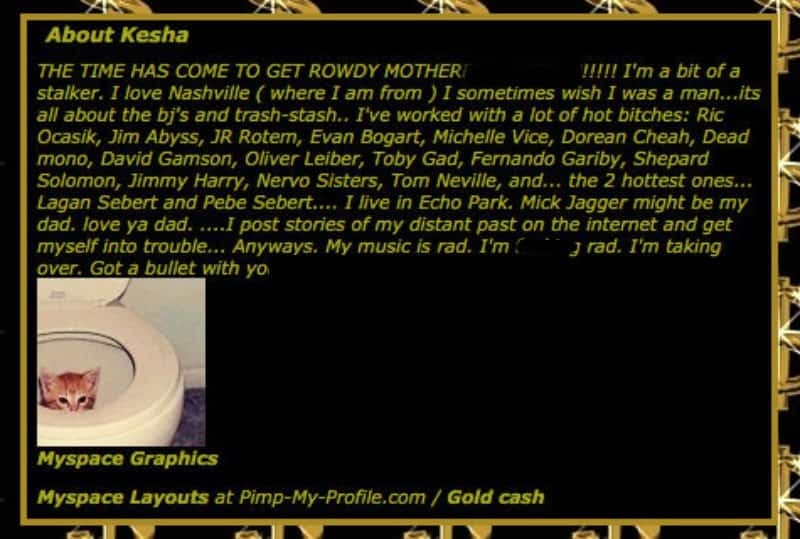 Among the proclamations that Kesha has made, is that Mick Jagger is her dad. She also claims she’s a bit of a stalker and has a kitten in a toilet as her profile picture. The singer was known as Lizzy Grant because that just happens to be her real name. 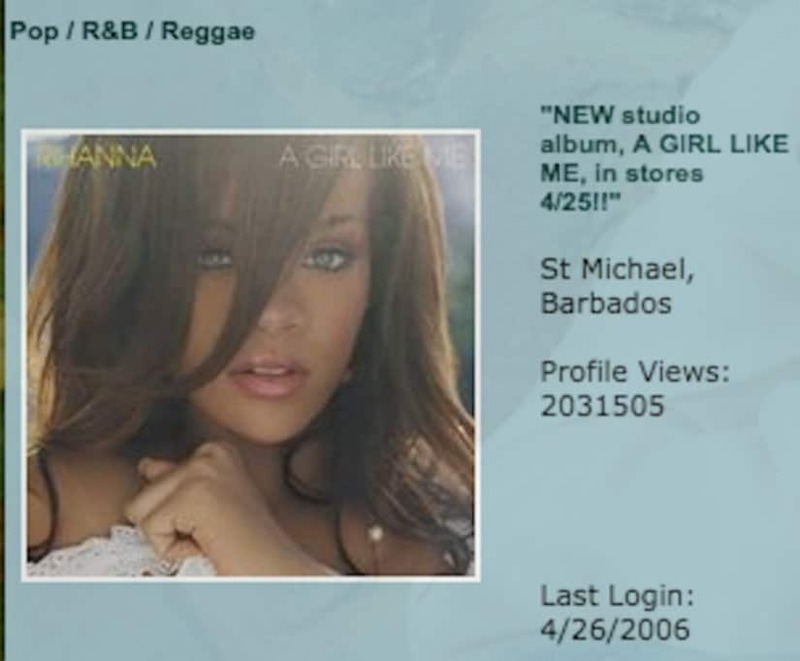 If you’ve ever wanted to know what artists influenced her music, according to her profile it was a range of performers from Britney Spears to Axl Rose. 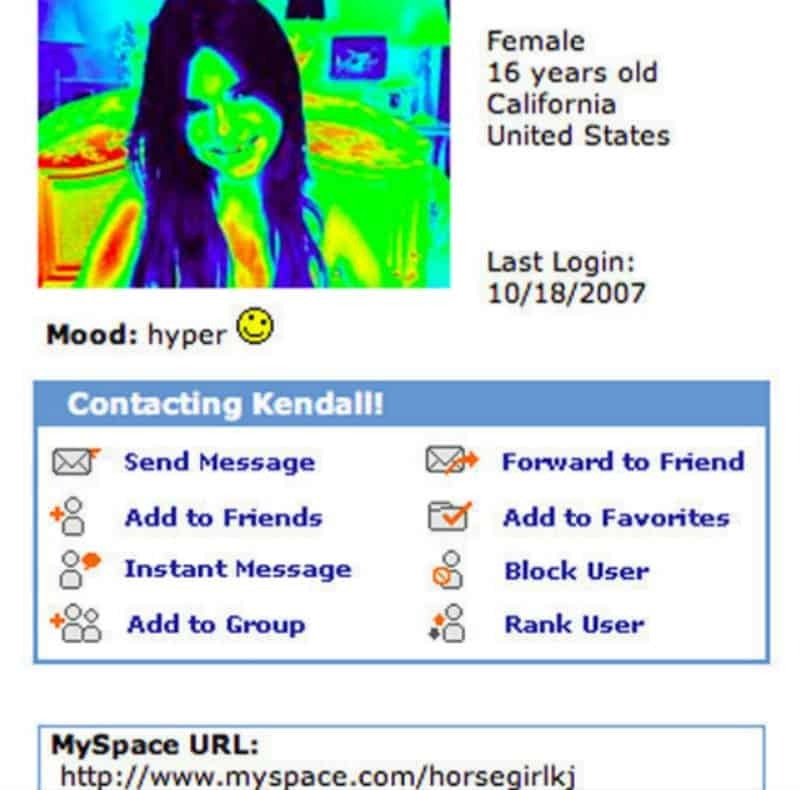 We like the fact that she used the always popular heat sensor photo, and that she was apparently hyper the last time she checked into MySpace as well. Is anyone surprised that her tagline was “it’s all about me”?